mike downes - we make videos to help people learn: Hangouts On Air are nearly Impossible to Find - How can we Harvest those High Quality Broadcasts? Hangouts On Air are nearly Impossible to Find - How can we Harvest those High Quality Broadcasts? This post is a work in progress as it can't be another way. When I've explained what I know and how I got there, I expect a few readers to pave the way with some ideas. To get started, let's look at: https://plus.google.com/u/0/hangouts where we can normally see six HOAs (Hangouts On Air). I'm leaving the the long links in, as you can see what I'm talking about. I see this as a learning point. If you want to see more, visit (View more): https://plus.google.com/u/0/s/%23hangoutsonair/hangouts where the hashtag #hangoutsonair shows in the Google+ search box. Click Best of or Most recent will not change the URL. Scrolling through and reading the latest HOA Titles, is quite alarming. It seems no one has really bothered to even vaguely give a reasonable description of What's it about? Who's in the broadcast? Where it's from? or even How long will it be on for? You will also notice searching #HOA in hangouts will return no results, while minecraft returns many. This is where it's gets more interesting (and valuable) as every time a brand new HOA is opened, three tags are automatically generated: #hangoutsonair, Hangouts On Air, #hoa. So, from a YouTube search for #hangoutsonair, we return 93,000 results. All three words together return 54,000 (note, in the order of creation at YouTube, we had the tag Hangouts On Air, #hangoutsonair and then #hoa). By filtering to LIVE NOW, we get 159 results. We can all play around with words like minecraft (10,000 results) and even the 11,700 popular word of Test. 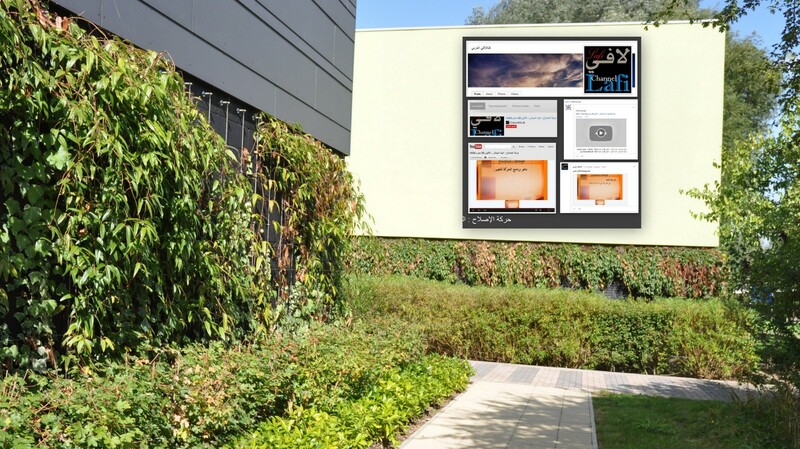 Another more polished way is to look at the YouTube/Browse/Live/Google+ Hangouts On Air link of www.youtube.com/live/hoa. You will notice hoa, not hangoutsonair as the URL. Eighteen broadcasts load per page, by clicking load more, I managed to get 137 on my screen. You will also notice, the URL remains unchanged. I am not a coder so (my guess) there is script on the page that handles the search. Meaning, can you link to those 137? No you cannot. We can also try a direct Google Search to locate past and present HOAs. I get 323,000 results (2,000 personal) using #hangoutsonair. This method I will steer away from right now as the tag can be located anywhere at all. 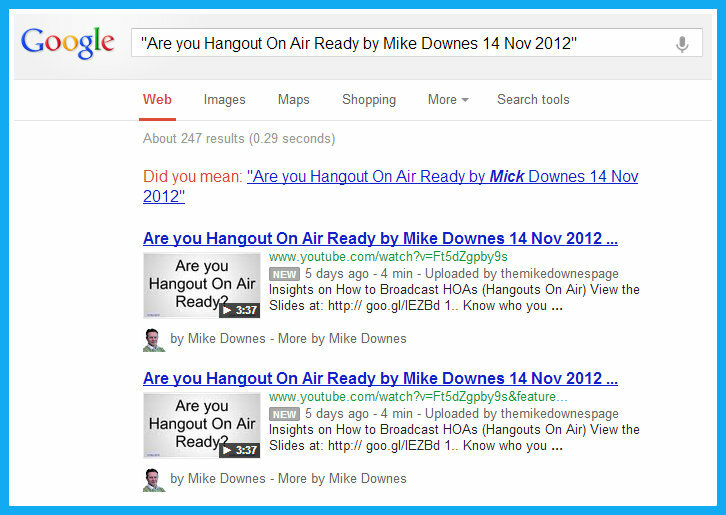 What I will say though is, take any newly started HOA, copy/paste the title (in quotation marks) into a Google Search box like: "Are you Hangout On Air Ready by Mike Downes 14 Nov 2012" and it should return a result. For me, and I got 247 results (always use an Incognito Window for this, the search is unbiased from your Google login). Any attempt to add a word in the YouTube search box will force a restart (of the search), not that helpful really. For example, adding minecraft returns all results (not just those for LIVE, HOA, Minecraft). Everything and nothing really. The short answer is there are loads of HOAs and you can find them at Google+, YouTube and Search. But, like you, I'm looking for more than that. I've taken Hangouts ON Air to a high level and I'm to get better at it and find some useful ones. How do we do this together? Good Question. And by together, I mean the Google+ users and those at Google who build it all. So what's important? Is it the auto tags (#hangoutsonair, #hoa, "hangouts on air") not really as the users cannot control them (until a post edit that is, and only a fool would remove them). I'm not even convinced how searchable all three tags are in Google+ and Search. Which leads me back to the idea of a Great Title. Upon starting a new HOA, the title is the single most important aspect you can control. I've already said, MAKE SURE YOUR TITLE IS A GOOD ONE. There are other more ways to ensure your broadcast gets out there like: create an event page, post and repost to the Google+ stream, blog about it and share it to other platforms (like twitter and facebook). But for me, that does not solve the Harvesting of High Quality Content. It's now 6:47pm in the UK on a Monday, there are 165 Live Hangouts On Air at YouTube. If I repeat the search in an Incognito Window, with #hangoutsonair, live, today, video I get 136 results. How are we going to tell from the good from the bad? Each one is identical apart from a title and the occasional thumbnail (which is awesome by the way, the fact that a thumbnail is generated so fast). But before we get excited, the HOAs with the thumbnails are already over. They have a time stamp on them, indicating they are not LIVE, but just ended. Switching back to www.youtube.com/live/hoa, using the view by list (not grid) shows us the titles. 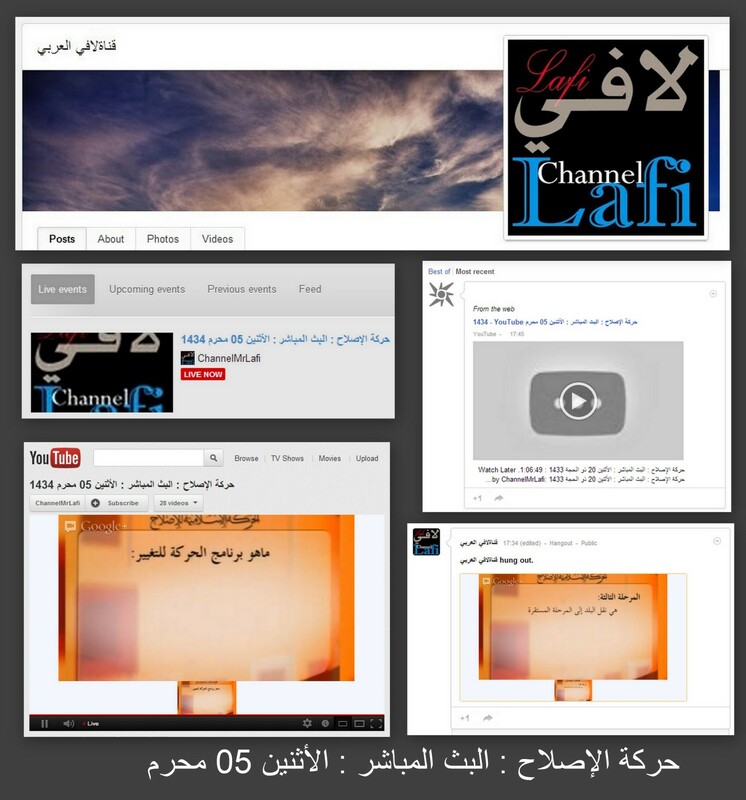 We have many languages, with this example from قناةلافي العربي‬‎ at YouTube. حركة الإصلاح : البث المباشر : الأثنين 05 محرم (Reform Movement: direct broadcast: Monday 05 January). For those who know me, I'm always searching for many journalistic and personal reasons, so finding and watching some valuable HOAs is not only a passion, but a requirement. 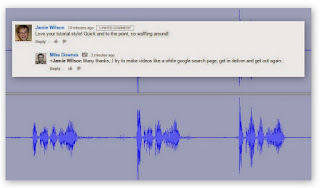 I've titled this post: Hangouts On Air are nearly Impossible to Find - How can we Harvest those High Quality Broadcasts? as I want people to really think about this and come up with some ideas.